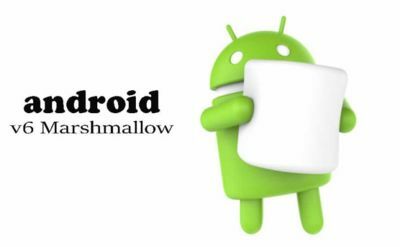 Android 6 "Marshmallow"" is a version of the Android mobile phone operating system that was released in 4Q 2015. Marshmallow primarily focuses on improving the overall user experience of Lollipop, introducing a new permissions architecture, new APIs for contextual assistants (a feature notably leveraged by "Google Now On Tap" — a new capability of the Google Search app), a new power management system that reduces background activity when a device is not being physically handled, native support for fingerprint recognition and USB Type-C connectors, the ability to migrate data to a microSD card and use it as primary storage, as well as other internal changes. App Drawer: Marshmallow will feature a search bar on the top of the app drawer to help you find any particular app faster than before. Revisiting the old school, Marshmallow will also bring back the scroll bar on the app drawer so that you can find all the apps on a single page by scrolling up or down. Well, that might inspire the Chinese players to bring back the app drawer in their upcoming smartphones. Doze, new battery saver: a power saving mode that will help the system to consume less battery in idle and sleep modes. It will also terminate those apps causing unnecessary device wake-up. More Controls in App Permission: Managing permissions for every individual is simplified in Marshmallow. After the upgrade, you can control the number of permissions in a much easier manner. Smarter Google Now: While Whatsapping someone, just tap on Google Now button and it will come up with useful information you might be looking for. Clutter-free Status Bar: Managing the status bar icons is complex in Lollipop as several icons remain active all the time, even if you don't use them frequently. In Marshmallow, you can remove any unnecessary icons from the status bar through System Tuner. Navigate to Settings>>About Phone and tap the about phone seven times. Then go to Developer Options. Configure your Network Settings anytime: You can reset your entire network settings anytime you want to. The options will wipe out all your Wi-Fi, Bluetooth and Mobile Data. The feature can be found in Settings>>Backup and Resets. This page was last modified 03:22, 25 November 2015.